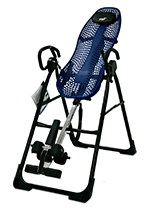 Teeter Hang Ups EP-550 is not a new model on the market of inversion therapy tables. 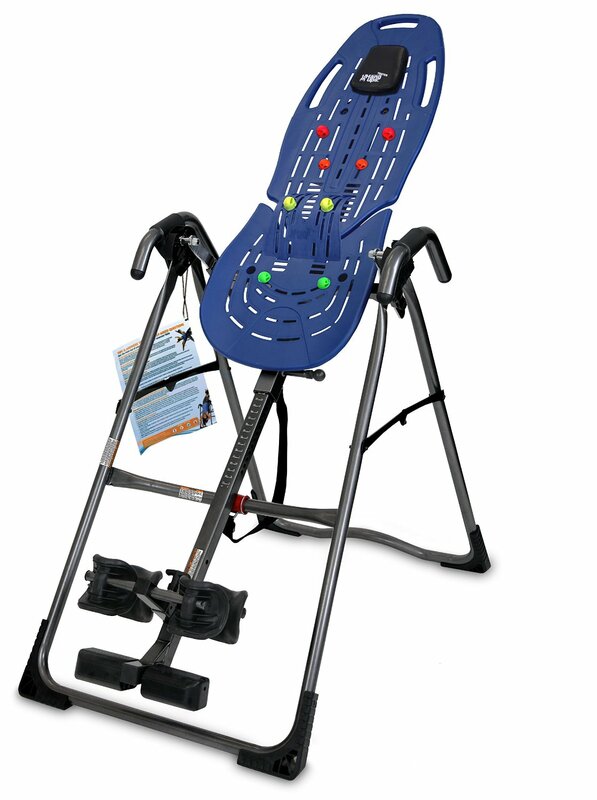 However, it still stands out among many of its competitors and even other Teeter models. Of, course, the very brand name, Teeter, means that you’ll receive a product of a premium segment and excellent quality. The EP-550 combines the eminent brand name with a great deal more attractive price of somewhat around $300, which is actually cheaper than many other options suggested by this brand. But apart from the lower price, what else makes it so peculiar? 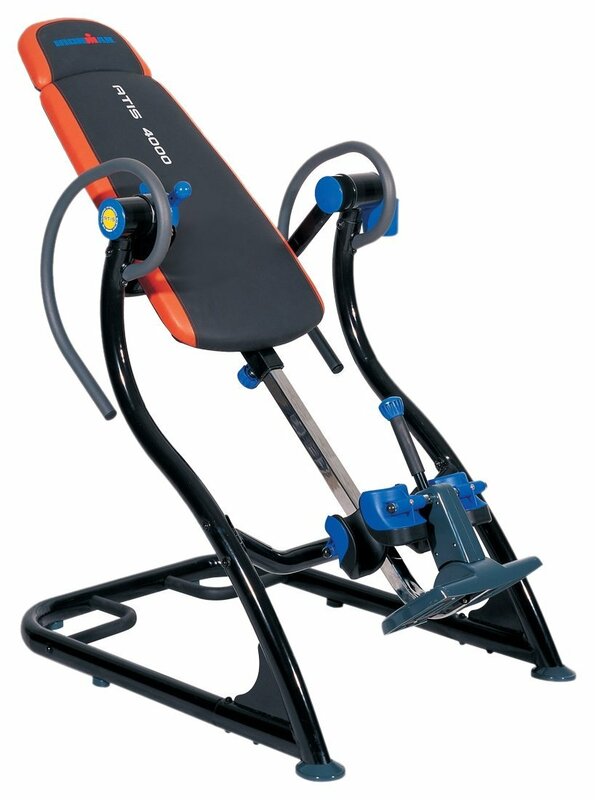 Let’s try to figure it out in this review.Teeter positions this model as the one designed specifically to subside and eliminate back pain. As you know, back pain can be the result of a variety of back conditions, the most frequent of them is the lower back pain. Teeter also claims that EP-550 will better your posture; however that is exactly what many other inversion tables are meant to do while there are no scientifically based proofs that EP-550 does it better. 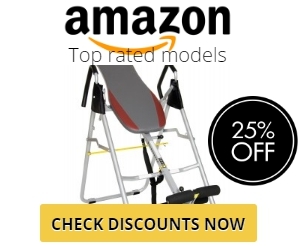 Basically, the design of this model is quite similar to other Teeter models and the only thing one can’t help but admit is that it boasts of the same reliable high-quality build and gathers an abundance of positive reviews. Among most notable features characterizing the teeter hang ups ep-550 inversion table, one can distinguish the following. The device is equipped with a ComforTrak Bed having a mesh design, which is capable of flexing with the user and allows for a wider space of motion. For utmost convenience, it also features a padded headrest. Its Stretch and Grip Handles allow for better and more comfortable stretching while Lumbar Bridges ensures better decompression. Both beginners and more experienced inversion therapy enthusiasts will benefit from the pre-included DVD with exercises. The unit also boasts of its easy assembly and a 5-year warranty. Moreover, its quality has been tested to correspond to the UL safety standards. 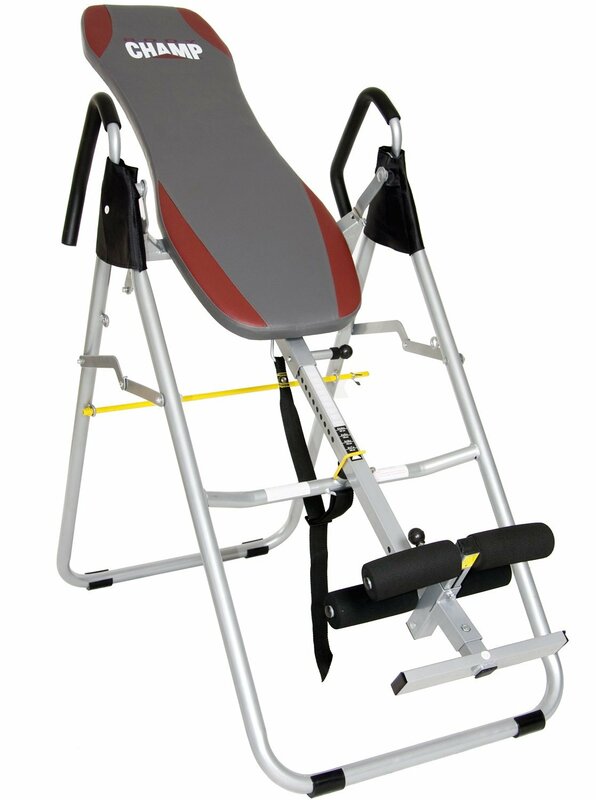 Just like other Teeter inversion tables it has the weight capacity of 300 pounds.Due to the mesh design, teeter hang ups ep-550 is extremely comfortable to lay on. 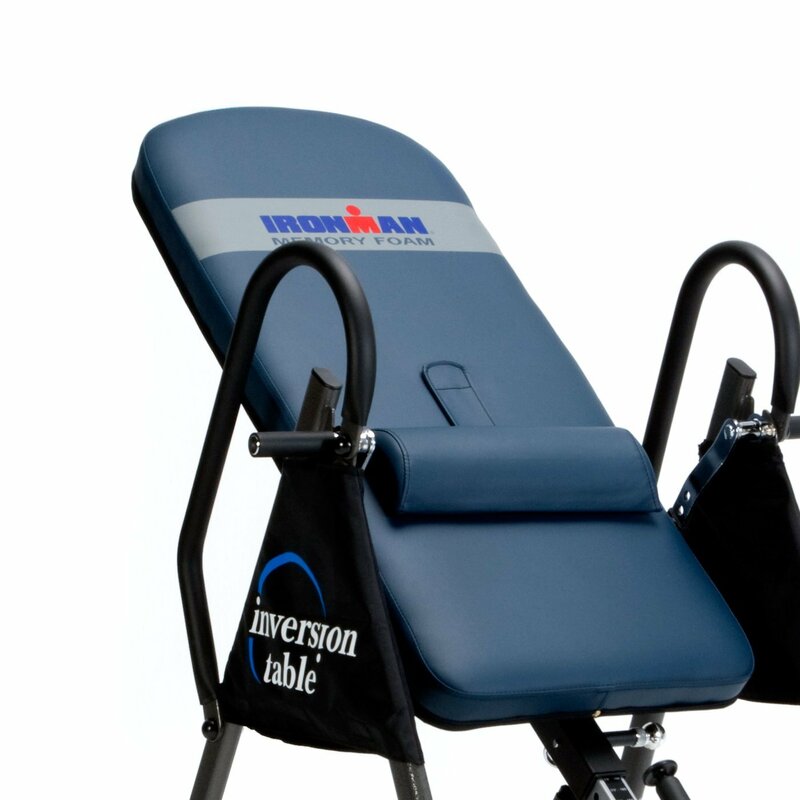 Here is a handy tip for you: convenience is one of the most important aspects for a good inversion table. If you don’t feel comfortable while inverting, you won’t be able to get the best of it. With the Teeter’s patented Flex Technology, the ComforTrak Bed follows your moves so that you can tilt at higher angles and move as you like to achieve truly profound decompression. Meanwhile, your fit will be securely locked in place on an adjustable foot platform. Even though the device is explicitly claimed to be designed for combating back pain, it can actually be used for a number of other exercises, for example, ab-building. 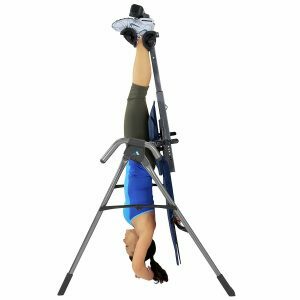 As with any other inversion table, it will take a time to see its true results. Most reviewers admit that they were able to considerably reduce or totally eliminate their back pain by the fourth week of regular training. It’s recommended to use it cautiously during the first week, starting from about five minutes, though such time might not give visible results. If you don’t want to invert completely, you can well use the safety strap that allows you to pre-set and limit the angle of your inversion. Mind that decompressing of your spine will take time, so keep on training regularly while gradually increasing the time of inversion. If you overwork you might experience some muscle spasms, this means you have to return to shorter inversion therapy sessions and keep on training your back muscles gradually. By the end of week three, you will be able to determine the optimal inversion time for you and will notice how your back pain has reduced considerably. By week four you can try to invert without the safety strap, by this time inversion sessions start bringing true pleasure and relief. Some users noted that after intensive inversion exercises their feet hurt, but this problem can be remedied by simply wearing some thicker socks. 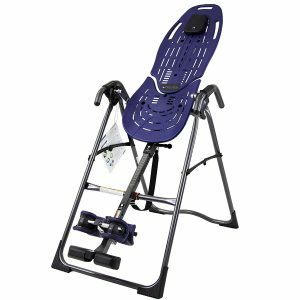 The efficacy of the teeter hang ups ep-550 inversion table is proved by multiple positive customer reviews, while many experienced physical therapists often recommend it to their clients. It’s up to you to make the final choice while the EP-550 model has such undisputable benefits as Flex Technology, adjustable foot platform and specific design aimed at reducing back problems. It also comes with the pre-included instructional DVD and while offering the high Teeter quality, it attracts with its affordable price.